Chinoiserie has been in style in the West since trade routes opened in the 18th century. At that time Chinese wallpapers, lacquered furniture and fretwork were often all put together in one Chinese themed room. These days, in our room designs, we tend to add a few chinoiserie pieces in with western styles. A recent project for a client who owned some traditional Chinese pieces led us on a trip to Hong Kong to discover more. 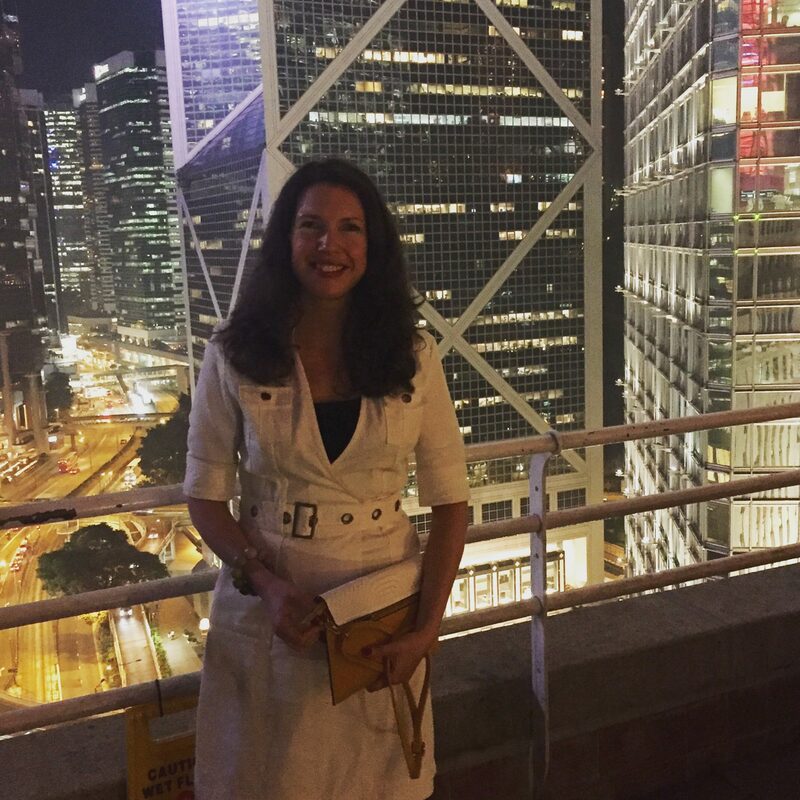 Our first stop was the exclusive China Club, owned by Sir David Tang it is a wonderful example of 1930’s Shanghai design style. 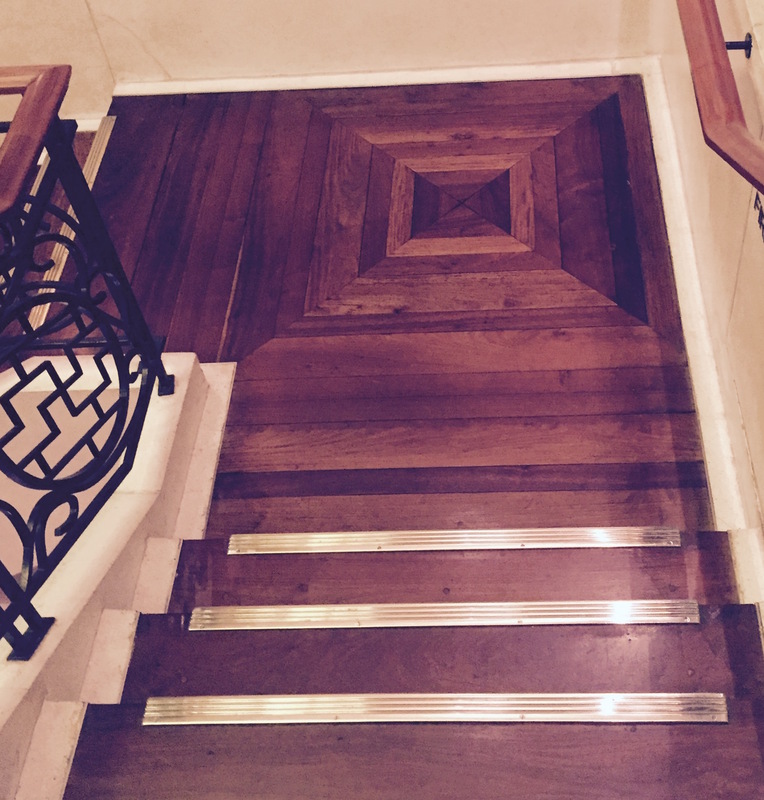 Fretwork doors, handprinted silk wallpapers and inlaid wooden floors are reminiscent of a traditional tea house. It also has a long balcony with views over the financial district of Hong Kong! The next day was a trip to Horizon Plaza, 28 floors of furniture and fashion outlets. It was interesting to see so much Italian and French design, obviously in vogue in Hong Kong. The quality was fairly mixed and there were a lot of obvious copies of design classics rather than originals. 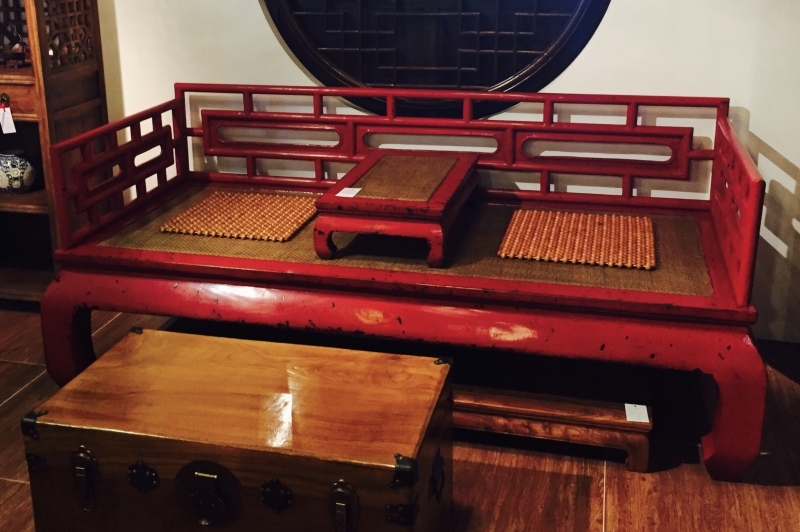 We did however and some wonderful examples of Chinese furniture. These styles date from the Ming dynasty and are less frequently used in Western interior design. While we often use furniture with fretwork it tends to be incorporated into a western style upholstered chair, as seen in the original Chippendale collection of the 18th Centuary. 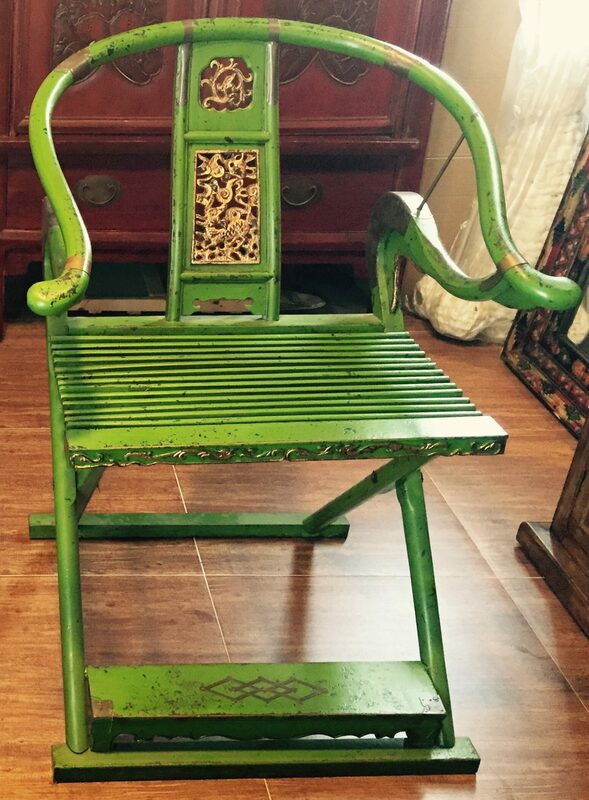 The traditional Chinese examples tend to have hard seats and be quite upright. Furniture was often painted in strong colours such as imperial yellows, deep coral and celestial blue. These were generally contrasted with bright white plaster work. We also enjoyed some beautiful hand painted and embroidered wallpapers, one great example was in the hip cantonese restaurant Mott 32. Similar papers can be found for sale in London such as from De Gournay. We have returned to the UK with some great contacts and an enhanced appreciation for the ancient history and style of Chinese furniture.